My latest Goodreads competition has just finished. There were 1273 entrants, more than double February’s competition. Two lucky winners, bith from Canada, have just been sent signed copies of The Banker. 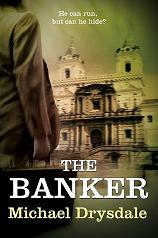 The Banker is improving in the Kindle Store rankings, reaching 572 overall and 53 in thrillers.